Our Juicetouch brand offers you five vibrant flavours of juice to choose from for your workplace environment as well as enhancing your green credentials by reducing your packaging waste. It’s time to test your tastebuds with a fruity offering of Orange, Wild Berries, Tropical, Grapefruit and Apple with the added option of chilled or sparkling water. Juicetouch is a healthy, eco-friendly alternative. It goes against all traditions. It pushes the boundaries. It is innovative and cost effective and offers you a trendy alternative to your workplace. Try it. Juice it up. Get in touch. Bag-it-in-the-box today. Choose from apple, orange, pineapple, red fruits and tropical juice. All juicetouch machines are school compliant and house safety mode features. The Cafetouch and Juicetouch sit side by side. 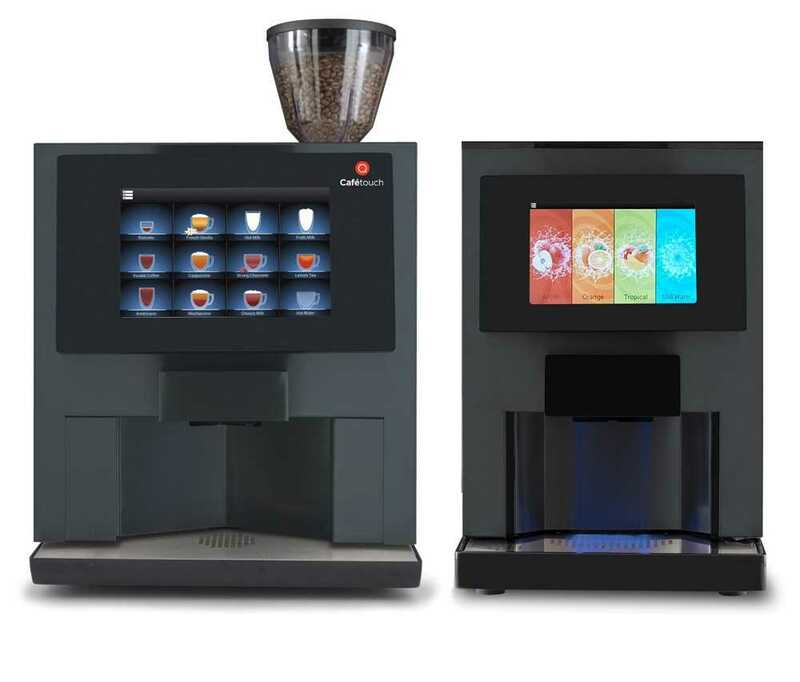 The Cafetouch and the Juicetouch machines are more similar than you think. They are both driven by new and innovative technologies, consistent in offering the highest quality coffee and juice experience, and similar in size. They are both a sleek, black finish and offer a variety of different drinks options and flavours. They save you on space, are energy efficient and very convenient in the workplace.